It is being described as an "absolutely stunning piece of cinema". Peter Jackson, the man behind The Lord Of The Rings Trilogy, has always been a director who continues to push technological envelopes, always looking forward. That is only half the case here, as They Shall Not Grow Old is not just a documentary about World War I with never-before-seen footage to commemorate the centennial of the end of the war. 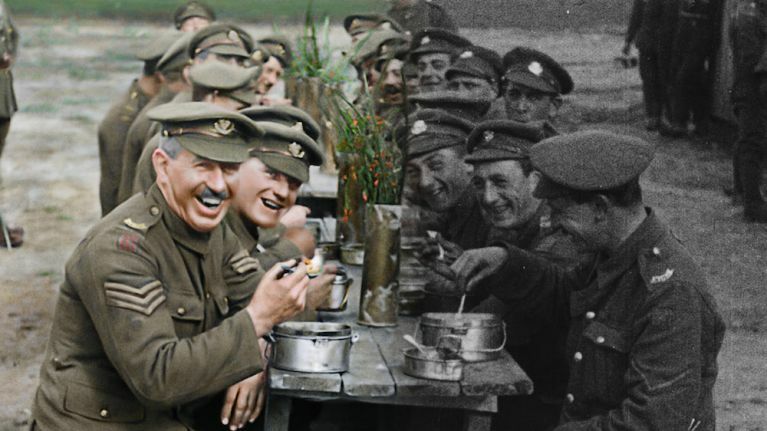 Jackson has taken 100-year-old footage, and colourised it, as well as adding sound to the visuals, resulting in a one-of-a-kind cinematic experience, which will be an absolute must-see for cinephiles, documentary lovers, and those who wish to know more about the first World War. The movie has already received some huge critical acclaim following the premiere at the London Film Festival earlier this year, with The Hollywood Reporter describing it as "an immersive primer on the first-hand experiences of soldiers, this innovative documentary is a haunting, moving and consistently engaging lesson in how to bring the past vividly alive." RTÉ also gave an incredibly favourable review, stating that "As a technical feat They Shall Not Grow Old bears comparison with Jackson's LOTRs films but it is the human story that will stay with you."